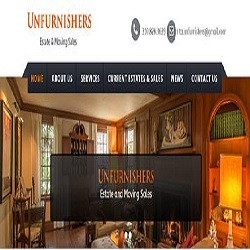 The Unfurnishers is an estate and moving sale/liquidation company whose clients range from estate planning attorneys, probate attorneys, probate departments of banks to bankruptcy attorneys as well as individuals who need having their assets liquidated because of a move, remodeling, or bankruptcy. We have expert appraisers in art, antiques, artifacts, and collectibles. Call us today for more information!